journey of growing......: Money Making Opprtunity!!! ~ Island Red Cafe. Have you ever heard about Island Red Cafe? Island Red cafe founded in 2006, use Espresso original culture as their base, and strategically bring the Italian coffee culture into Malaysia market with low cost. Island Red Cafe corporate management concept is to promote the original coffee culture and the local tasty food with full dedication and high professionalism. 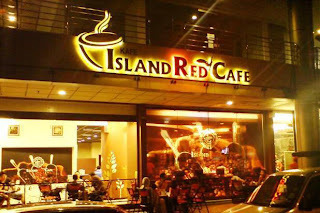 The company emphasizes the spirit of integrity and practicality, insist to put customers as top priority and value every franchisees and their working opportunity with Island Red Cafe. Together developing and welcoming the new wealthy journey of coffee. Create a new spirit of coffee culture, with royal quality and ambitious dream. Create characteristic service procedures according to every customer's requirements. Insist and follow the coffee corporate management system and the franchising chain model, Island Red Cafe management and service system directly enjoy the resources and has the most equipped customer service organization structure. Create a new spirit of coffee culture, with royal quality and ambitious dream. 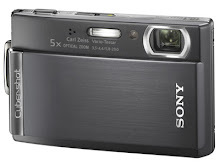 b) Direct Sponsor = Rm15.00 (1 star) >>> 3,7,10,15 star refer to above. Step 1: You only have to join with RM360 for the whole life. Bank in to my account. Step 2: Email your slip as evidence to prove. Email me your Name, IC No., Address, Contact Number, and Email Address. Step 3: Then I will register you as IRC member. Step4: Member ID will be given after register and you can use it to dine at any IRC restaurant in Malaysia. Step 5: If you want to earn more, introduce 2 person or more to join in this program. Do as the steps above. For more information, leave your email address! i would like to know more about the package, can u contact me via my email address. delvin_lim@live.com.my.